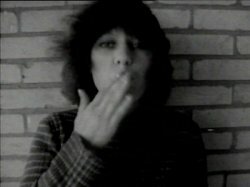 video, color, sound, 1 min. 56 s.
8 mm, b.-w., no sound, 4 min. 20 s.
video, color, sound, 5 min. 16 mm, color, no sound, 3 min. 46 s.
16 mm, cz.-b., bez dźwięku, 1 min. 51 sek. wideo, cz.-b., dźwięk, 6 min. 9 sek. wideo, cz.-b., dźwięk, 12 min. Opening: 23.09 (Fri.) 17-21 pm. The exhibition at the Arton Foundation shows how women-artists created their individual but, at the same time, common artistic language. In spite of the diverse political and social contexts these works have come from – Poland, the former Yugoslavia, the U.S.A., Canada and Brazil – the films and videos on show reflect issues that are closely tied. The works of Leticia Parente, Martha Rosler, Sanja Iveković and Jolanta Marcolli consider the typical ways women are perceived to function in society. 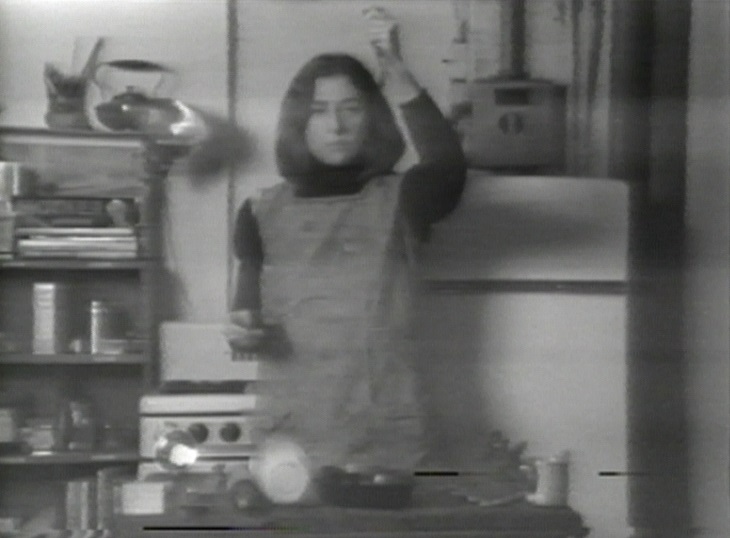 Rosler’swork Semiotics of the Kitchen (1975) and Parente’s Task 1 are critiques of the traditional roles imposed upon women by society. Marcolla’s Kiss (1975) refers to the objectification of the female image in popular culture, whereas Iveković in Make Up, Make Down (1978) takes a behind-the-scenes look at the creation of this image through the artist’s handling of the tools of make-up. These artists tell their personal stories in film, through self-portraits and diary entries detailing their experiences. The possibilities that video had brought to the artistic experience were broadened by access to lighter and more transportable cameras. Simplified post-production techniques gave artists the opportunity to work in video without the necessity of engaging a large crew. Images could be captured at any given moment, without any notice or preparation. Polish artists, for whom this technology was not available in that period, made use of traditional cameras and 8 & 16 mm film. Such glimpses into a female artist’s private life can be seen in Lisa Stelee’s Birthday Suit with Scars and Defects (1974) and Natalia LL’s Impressions (1973). Stelee’s work is a documentation of her own body, its defects, scars and other marks that serve as a record of her life and experiences. Natalia LL’s video is a joyful, spontaneous recounting of her own physicality and her experience of her own body. 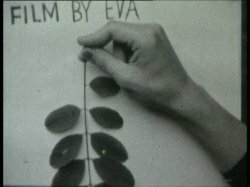 Ewa Partum, in her work Tautological Cinema (1974), reaches for the medium of film to critically appraise the dominant language established in the realm of art by male artists.